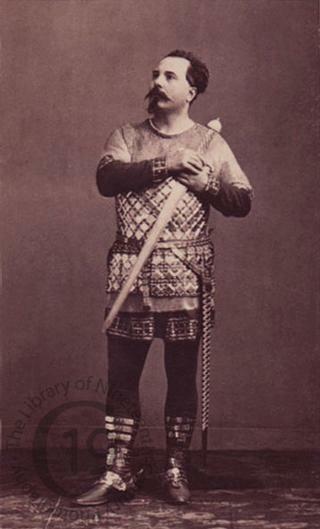 The French tenor Louis Guéymard (1822-1880) débuted at Lyons in 1845. The leading tenor at the Paris-Opéra until 1868, he created many roles, including Arrigo in Vêpres siciliennes, Jonas in Prophète and Assad in La Reine de Saba. He was married to the Belgian soprano Pauline Lauters-Guéymard.